STRAIGHT TO YOU FROM ALEXANDRIA, VA (WHAT, PIERO?). IT’S MARYLAND! TOO CUTE! 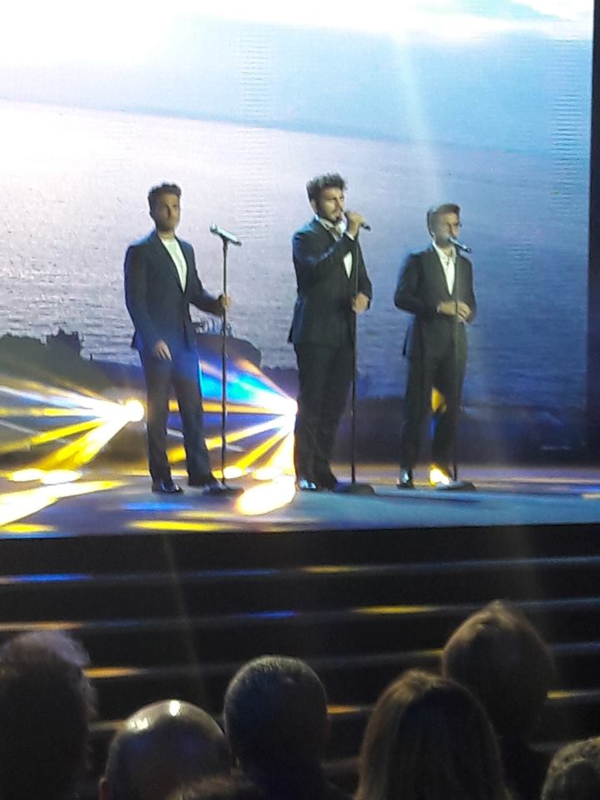 Massimo Messina, good friend of Il Volo, posted a couple of pictures of the concert. Thank you, Massimo for sharing! There is no sound in the beginning, but you get the idea. Thanks, LisaJoy for posting Piero’s video. Silly question!! Of course we are!! Just listen to the crowd!! Just a reminder. We want to hear from you! If you are attending these concerts, and you want to share with the rest of the Flight Crew, please send your experiences and/or photos/videos to flightcrew.nottemagica2017@gmail.com. If you are attending the Chicago concert, one of our Flight Crew members, PAT, out of the kindness of her heart, made silicone wristbands in remembrance of the beautiful evening you all will be sharing on Saturday, March 18th. If you would like one of these wristbands (and I can’t think of a reason you wouldn’t) she will be seated in the front row to the right of the stage. IMPORTANT! Please bring your Flight Crew badge to show her and she will gladly provide you a wristband. 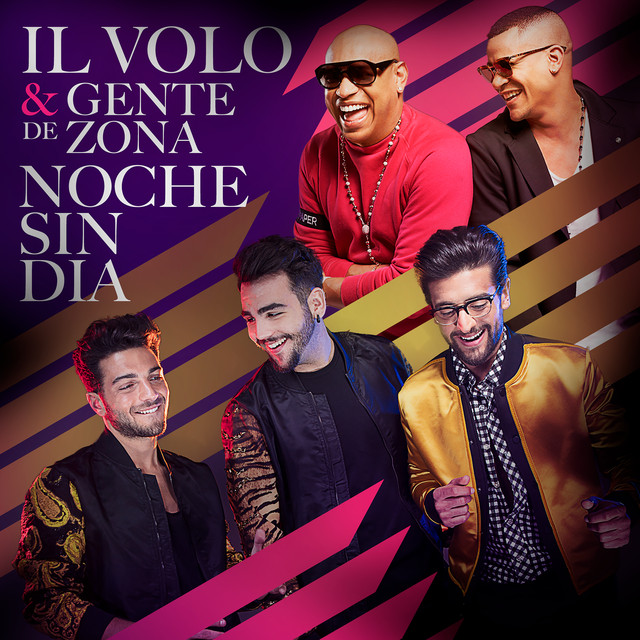 ConnecticutGianlucaIgnazioIl VoloIl Volo flight CrewLeeLeeNational HarborPieroUna Notte MagicaWashington D.C. Previous PostRose Marie’s StoryNext PostA New Album is Coming! A New Album is Coming! Looks like they are warming up for me! By the time they get to Detroit perfection will abound. I got excited when Gianluca said, “We grew up in the U.S.” Yeah, we thought so too. No doubt in my mind that they will be back, where they grew up, next year. Thanks Leelee for the fun post. Wait…I can tell you in person when I pick you up at the airport in three hours! Then…then…in two days…we drive to Detroit!!!!! Then……. Marie you will be in heaven !! I think from viewing the various posts of the Tour so far, that the applause and standing ovations are greater than ever. Well deserved on both counts. It goes without saying I hope you and Leelee have a wonderful time and please do not kidnap Mr Dimples. Marion, I will​ see the it that Marie leaves Ignazio in tact. We’re having a great time and we haven’t even gotten there yet. Good morning and Thank you Leelee for your Ct, DC post is fantastic. The videos, photos and interviews are wonderful. The most exciting piece of this is having breakfast with the boys and listening on my IPad to their singing that can only described as magnificent. I agree with Marie, 2018 will have many surprises, keep your Flight Crew Badge at the ready, nothing is written in stone. Il Volo never disappoints. In the mean time let’s enjoy 2017 and all the excitement of this very successful tour. Wonderful post, Lee Lee!!! Thank you. These Concerts are magnificent!!! It is a magical Notte of amazing music!!! My turn the 23rd & 25th, LA & Vegas!!! Will be a marvelous evening!!! Thank you, LeeLee for the nice post about DC and CT and the mention of my wristband gifts! I’m so excited to meet new Ilvolovers this Saturday in Chicago! Really cute idea you had Pat, pity that I am not at the concert in Chicago, congratulations. You are so welcome, Pat! I hope you get to meet fellow crew members. Have a great time. LeeLee nice post, I really like the flying frame used for articles IL VOLO Professional , only regret that everything written inside the frame is not translated by the translator. Never mind, I practice more to translate without support. Our boys are becoming more honor. Today in Italy have added 5 more dates for concerts that will be held in July in 5 beautiful Italian squares. I like the “flying frame” also LeeLee. I was just watching the news, and the Boston area is supposed to be hit by a huge snowstorm with 2feet of the white stuff! I hope it does’nt prevent people from going to the concert tomorrow. Thank you, Jill. It was actually Jana that created it. I love the name “flying frame”. It was FANTASTICO! The greatest hug ever for me..
Then, as you assumed you Jill, the concert WAS DELETED, due to bad weather. So sad this has been cancelled and not rescheduled. Had 2nd row tickets with meet and greet. The boys have been in Boston since yesterday enjoying the sights and tastes of the city. Hopefully they get out safely before the snow hits!! I feel sorry for you Mary M, I can’t go to the Las Vegas show, but for different reasons. I hope they don’t have to cancel any other concert’s due to this snow storm, or for any other reason. Hopefully you can see them next time. Maybe because we have unpredictable weather at this time of year, they will start their concert’s in April instead of March. So sorry for you Mary. I am sure you must be so disappointed. I imagine many people may have had trouble getting there. Just this morning I was able to exchange tickets with an extra fee for a Broadway show that my daughter had bought me as a Christmas gift, and we were going to attend tomorrow evening. Sad so many people will be missing their “notte magica”! Mary M, I’m so sorry for you and for all the people waiting to see them in Boston. Unfortunately the concert will not be recovered. A disappointment, in particular for those who saw them for the first time. I was very disappointed that the show was cancelled but it was the right move for all. Scheduling concerts in the northeast in the winter is iffy at best. Last year the concert was on Feb 10 and we prayed there would be no snow. It did snow a few days before but was ok the night of the concert. Two weeks ago the temperature here was in the 70s for a few days and today a blizzard! I am looking forward to seeing them in Verona in May (please God, no rain). Marie, since I won’t be seeing them at a meet and greet, please give them an extra kiss for me, especially Ignazio! Someday, maybe they can fly straight to California and work their way Eastward for a change. I wonder if they know that we do have Spring and Summer and Autumn weather in the Northeast & Northern Midwest, too ?! It would be a long flight time, but so is a trip to Japan and Australia, no? Was listening to Piero’s reply to the reporter in the little video above. Marie, I doubt you will see this, but perchance you do, maybe you can tell him that the majority of Americans who voted did not vote for Trump, but he ‘won’ because of an antiquated and unfair ‘little oddities’ called gerrymandering and the electoral college. Only in the USA does the candidate who won the most votes lose the election to the loser. That’ll blow his mind! (If you read this, you can delete my comment so as not to start a problem on your lovely site. It makes me cringe when people from foreign countries presume that all Americans would vote for an authoritarian regime to destroy our democracy and environment. I wish I hadn’t listened to that interview). Laura, please try to keep politics off the site. We are here to support Il Volo. We are a family that wants to lift, support and show love and support to our guys. Feel free to talk about our guys and show your love and support to them….. we are always ready for good Il Volo stories. Please feel free, Dee or Penina, to delete my two comments if you know how to do that. I felt sorry and sad for Piero when he replied, with some nervousness, “Let’s hope!! Fingers crossed.” re/ Mr. Trump (et. al.) because they are so young with their whole lives ahead of them. Piero apparently recognizes and understands enough about what’s happening to our country now, as does all of Europe — where he lives. Many people in Europe are nervous and scared due to the fact that what is happening to the U.S. means it will likely happen to their countries, too. I wonder if a serious government (= political) situation occurs in Italy that negatively will impact the quality of the lives of our Guys, their families and friends, would that ever be mentioned here. As I said in prior comment, I wish I had not watched that little video above. ( If you were to look back at my comments, Dee, you’d see that they are non-political. Later last year I mentioned — once –something political in nature and I was scolded by a couple of commenters for mentioning it, just as happened today. I care very much about those young men, just as everyone does here. I’m also paying close attention to what’s happening in our country because there are reasons to be very concerned. I’m a positive – type of person, but now it’s become a bit hard to maintain that positive outlook sometimes. I pray and hope, daily, for peace and happiness for all of us in our country and for the world, which includes ‘our’ dear IL VOLO, now more than ever. Don’t worry; I’ll stay mum on the subject unless other folks on here mention it at some point. I don’t comment often anyway, anymore. Have a Happy St. Pat’s Day evening. Adios. I will have to ask Marie to delete both of these. Please understand Laura. Remember in politics there is more than one view and this is why this is no place for politics. Remember also, they are not fully educated to our political process as they are young. I’m 50 and just grasping things. Please no political discussions.